Do not book any ticket in MakeMyTrip before reading this review about what you see as final price and what you actually pay. Few years back when I was a customer of MakeMyTrip their interface was confusing to me and so I switched to ClearTrip. If I remember correctly MakeMyTrip’s search results were based on base price that airlines charge and not on final price that we needed to pay which included surcharge and other charges. It became an issue and so I looked for alternatives and moved to ClearTrip. Recent advertisement about MakeMyTrip drove me again to their site. My recent glimpse of MakeMyTrip site surprised me with lot of improvements but I was shocked with the issue when making a payment. They charge 200 Rs as per passenger convenience charge but this convenience charge is almost hidden. 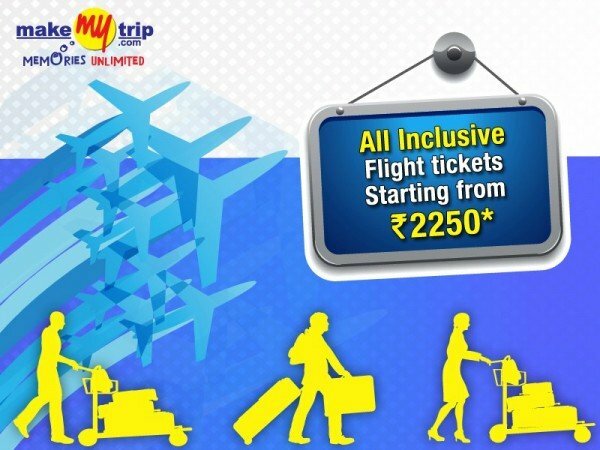 Don’t book your tickets through MakeMyTrip and even if you plan to book your ticket through MakeMyTrip make sure you are not paying those extra bucks unknowingly. Thomascook.in does not charges any Convienience fee. Hurry, enjoy ZERO convienience fee by Thomascook.in. Guess the new Marketing Manager of Cleartrip is all sold for guerilla. I don’t give a damn to CT or MMT (I get cheaper fares!) but the pain you took for video (which frankly seems skewed) makes my ask myself, is this a paid blog? Without intending to offend you, I – a returning reader of your blog – would be disappointed if this wasn’t YOUR thinking and doing. The pain I took to make the video was for one single reason that in the service industry MMT cannot fool customers. This is not paid thingy and is completely my own thinking. The problem is they say you would be charged an “X” amount and when you decide net banking or for that matter any other option it becomes “X” + fee. Thats making it doubly difficult to compare. I prefer them showing me the details on my face directly and upfront. I endorse your views on this time when I was trying to book tickets I found the total cost varied before and the time when you are about to pay. I resisted doing so. Moreover I found that booking through the airlines was more convenient and this change in fare did not happen. Yes I never take the pain of booking tickets at the airlines directly but I think its time to make that move for me as well. MakeMyTrip is kind of cheating but I think I always used ClearTrip as they are much more transparent. The convenience fee is to cover the payment processing charges and costs that MakeMyTrip has to pay to the payment gateways/ banks on every online transaction, which costs were otherwise absorbed by MakeMyTrip till recently. Such convenience fee is currently charged by all online travel agencies and many other companies who are doing online sales. Also, we are showing this fee clearly before the payment is being made by the customer along with reason. Please note this is neither an inordinate cost nor a hidden charge levied on the customer. I tend to disagree on the word clearly in your statement. The word clearly is better explained in the cleartrip interface but MakeMyTrip lacks clearly. Thank you, Shabbir. As always, you have cautioned your readers about the pitfalls in blindly following the printed word! Although I have used their website for comparing prices, I have never bought a ticket through them. By the way, could you also please comment on buying tickets directly from the airlines vs buying tickets through travel sites. Thanks in advance. Sure Prabhakaran, I will surely keep that in mind.